We belong to a little-known, global movement, an African tribe of cultural nomads who regard this World of Wonder as both a foreign land and our homeland. We belong to a fluid state without borders. Although land and water may still separate us; like land we ground each other and like water we flow into each other. We speak in many tongues, but in our world, understanding transcends. We know where our feet are planted, yet are filled with memories of places from where we have journeyed. We are eternal seekers using mixed media, music, fabric, textile, fashion; art to get our message out into the world. Love is our currency, it fuels our creativity, and composes our songs. Peace is our anthem and we pledge allegiance to the light that shines in all of us. It is through our stories that we weave our reality. Writers of our own history and tellers of our own stories. We are witnesses and art is our evidence, of the artist inside us all. We believe in art’s freedom. Its creativity, it’s twists (and its lawlessness), its design contradictions and its eclecticism. African art reveals, saves, inspires, unveils. The independence of African artistry — for the complete liberation of art! We believe that we are living in the Age of Africa, and that this better Africa is by design and not by accident. 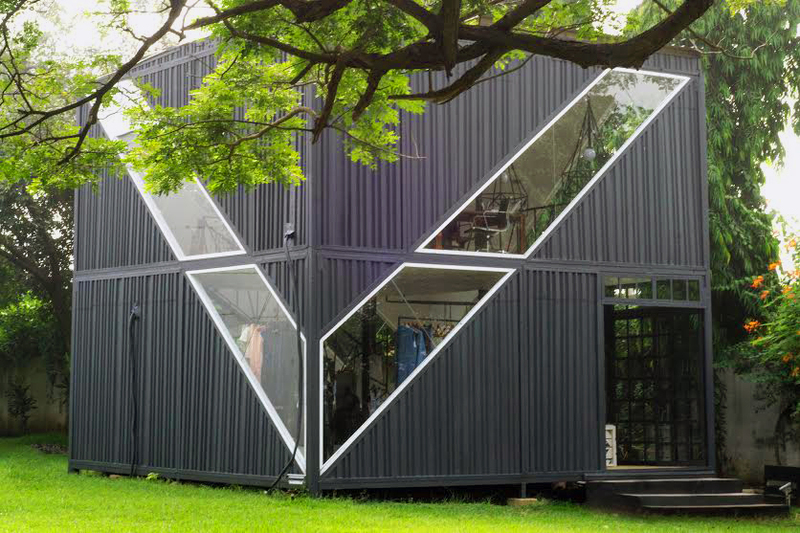 The multi-brand concept store provides high quality lifestyle brands to discerning clients. 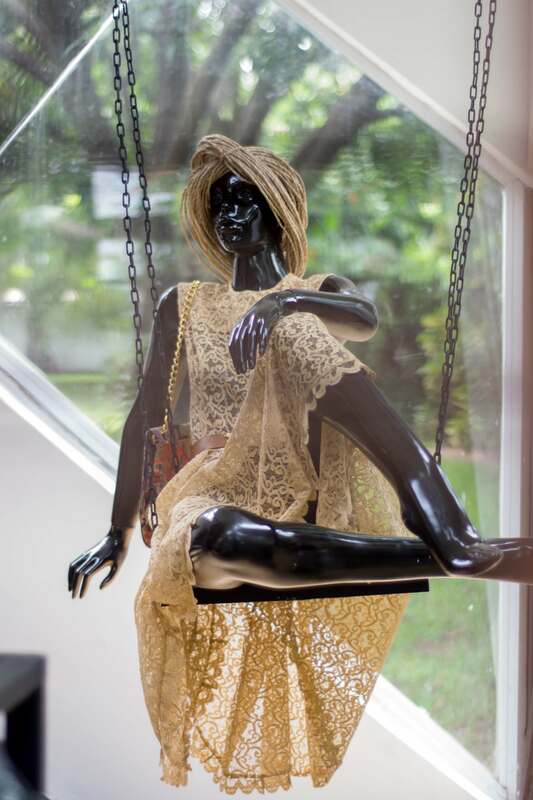 Located at North Ridge, Accra, Ghana, the 1,300 square foot store has African fashion wear and accessories on the ground floor, and African art on the top floor. The store focuses on premium lounge-wear alongside luxury ready-to-wear and accessories. It is the individual curation of the buying team, a careful mix of brands and bespoke store designs that enables us to bring you the most sought after products on the market. Photography and art exhibitions are held upstairs in the Exhibition space, and the area has housed fashion events, signings and in-store appearances .